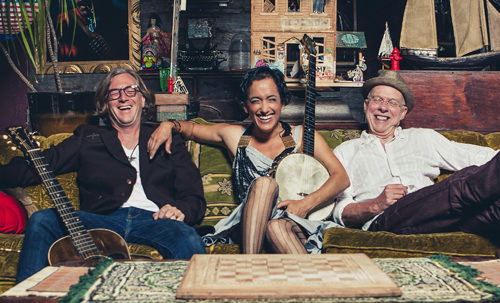 Tenacious, innovative string musicians with a pulsing neo-trad heart, the Evie Ladin Band – Evie Ladin, Keith Terry and Erik Pearson – throws down soulful folk songs with a four-dimensional live show on Friday, September 21 at the Arcata Playhouse. Grounded in Appalachian old-time repertoire, seasoned in African-diaspora roots, writing from life in modern cities, blurring the lines between music and dance, is how audiences describe the ELB’s captivating concerts. Tickets $18 general and $16 Folklife and Playhouse members. Available at Wildberries Marketplace of online at arcataplayhouse.org.